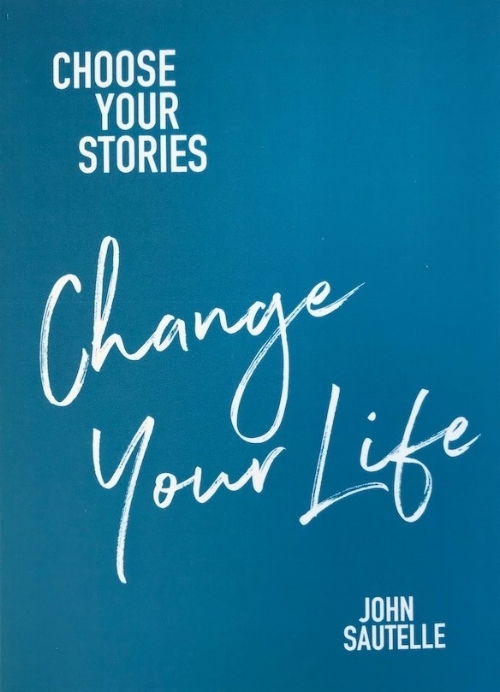 If you have ever wondered what stops you from making really important changes to lead the life you want, the answer, surprisingly, lies within your own stories. As humans, we are story making beings. We make sense of ourselves, other people and the world we live in through deep-seated stories, in the form of beliefs and assumptions, which either help or hinder us achieve what we want in life. Our stories create the results we are currently getting, the good and the bad. "We think that stories are shaped by people. In fact, it’s the other way around." Some stories are within our awareness while others are hidden, often created early in life and long since forgotten. Ultimately, everything we do and say in life is determined by our stories. At their creative best, they are wise and helpful. At worst they are misguided and over-protective, causing us to jump at shadows, creating unnecessary fears and anxieties, and holding us back. Growing up we inherit and adopt our most impactful stories; from our immediate and extended families, from people who care for us, teach us and discipline us; stories from the culture and environment we grow up in, from fairy tales, myths, movies, books and social media. These stories create survival responses in our brain and body, moving us towards things that sustain life, or away from or against perceived threats. They are the real drivers of how we show up in the world. While not directly authored by us, these stories subtly infiltrate all areas of our life. For many years I was unconsciously driven by an overpowering need to please story: ‘I assume if I don’t give people what they want they will always get angry and I won’t be safe.’ On the surface, my behaviours were often mistaken by others for empathy, generosity and high levels of emotional intelligence. In truth, they were often dysfunctional, driven by underlying cancerous fears constantly eating away at my self-worth and jeopardising any chance of growing truly strong, resilient relationships. An observer would have seen patterns of conflict avoidance, at home and at work. Then, from time to time, the floodgates holding back pent up resentments burst in a controlled, seemingly polite, but nonetheless destructive way. Another powerful story, ‘If I trust others to do it they will inevitably make a mistake and I will be blamed’, drove the need to always be in control to stay safe. The need to please story drove conflict avoidance and the tendency to over-commit myself. Combined with an inability to delegate, generated by the need to control story, I suffered a crippling repeat pattern of burnout for many years. For the first forty odd years of my life I struggled with the impact of these hidden stories. Self-help books and personal development workshops proliferated, often generating insight and hope which quickly foundered on the rocks of intended actions. The deep, lasting change I craved for remained willof-the-wispishly elusive.